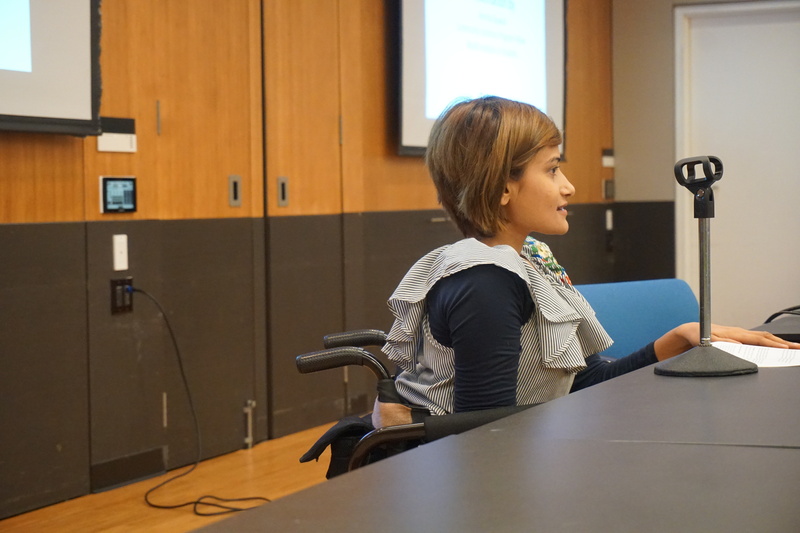 On August 23, 2018 WID’s long-term 2018 international fellow, Amrita Gyawali (CSP), presented about the disability advocacy work she is doing in her home country of Nepal. Well attended by folks from the disability community, as well as some of Amrita’s colleagues from the CSP program, the presentation highlighted the differences between disability advocacy in the U.S. and abroad and introduced people to Amrita’s organization, the Sakshyam Foundation. In the Nepalese language, “Sakshyam” means “to be capable” and “to be able.” The Sakshyam Foundation aims to make people with disabilities in Nepal aware of their capabilities so they can chase their passions and pursue their dreams. The Sakshyam Foundation does this by creating access to education and employment opportunities for adults and children with disabilities. Below is Amrita’s full presentation in PowerPoint and Text formats. Please, take a moment to read them in full; if you have any questions or would like to get in touch with Amrita, email josephine@wid.org.